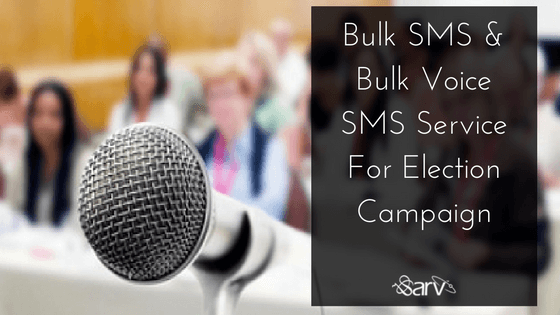 Are You Looking For Bulk SMS and Bulk Voice SMS Service For Election Campaign? Bulk SMS (or SMS marketing) and Bulk Voice call (or Voice Broadcasting) services are the best way to help you communicate with your target audience. Bulk voice call and bulk SMS deliver your message to millions of people. So, political parties also choose this service to educate people about their campaign & candidates. Sender or Callers send their message to people & ask people for voting on election day. It is the best way to tell who is candidate & what he stands for. More voters are now being contacted by Voice Broadcasting way over any other. This is because it is quick, cost-effective way to deliver your message to thousands of targeted audience. Even if you go to the past in the fairy era you would find fairies having a text-enabled phone. Yes! I actually don’t remember a single phone from my childhood in which we can’t send messages. Even today when mobile’s definition has changed completely and people spend a lot of time on various Mobile apps, yet you can see all the phone have the text facility. So, it can be said that text is a thing which was there to contact your customers and still with us and most it would be safe to bet that it will remain until next decade. So, if something is that much important and handy with people then it would be a silly decision not including it in your business marketing strategy. On an average, a normal person carries out 221 task per day on smartphones which are very high relative to desktop or laptop that is 144 tasks a day. Those were the days when work for people is to sit in front of a desktop. Now the first thing what I do when I wake up in the morning is to check my phone. The same routine is getting followed by almost every person who owns a phone. If you give that plenty of time of your day to your phone then why not evolve this phone as your business criteria. Yes! Including phone can help you in growing your business faster and faster. 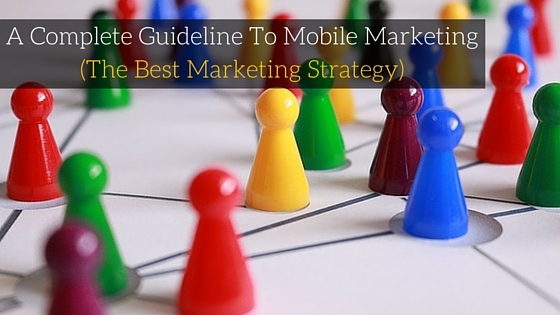 So, be wise and start including SMS service as your sound marketing strategy. 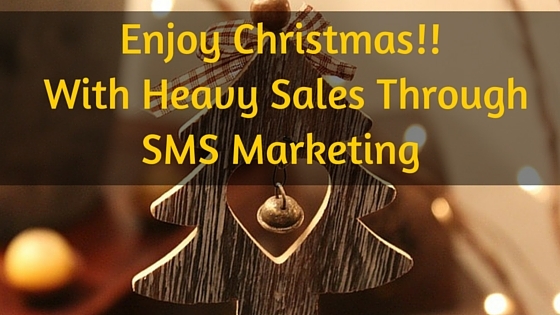 For me, SMS is the safest side for any business. The best thing which makes it the safest for me is, there is no spam box for SMS. Nowadays chatting apps and lot of new things have discovered but the importance of the text messages can never be replaced. Think of a thing which you see at very first in the morning, and keep on handling it whole day even before a second you’re going to see. Your phone. Right? We all use our mobile phones and assume it as our body part. If something is so important, then how you can avoid using such thing in your marketing strategy. It’s always good to have hands spread in different marketing techniques but doing marketing without SMS Marketing is nothing more than trying to wipe water from an ocean. 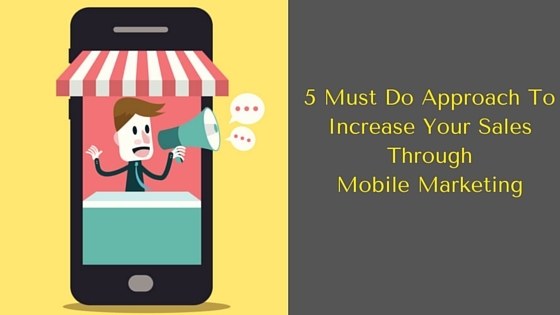 If you’re still using a lot of marketing techniques and think a lot that why you should go for Mobile Marketing if you’re already using so many techniques. 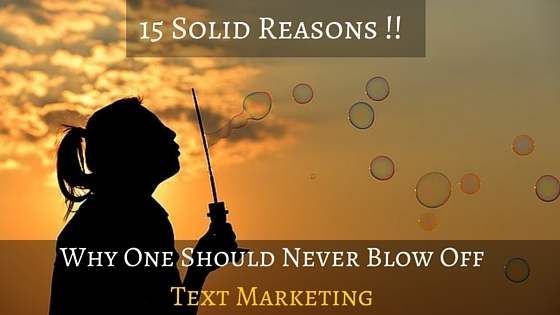 SMS Marketing or Text Marketing is a new spark in the bucket of Digital Marketing. Since many years this bucket was filled up with Email Marketing. I am not saying that Email Marketing is completely out of the market or it has become the younger citizen of the Digital Marketing Family. There is no doubt in that Email Marketing is still the most businessy way and Professional technique to contact your customer. But think about yourself, your era, and the sound of tic- tac which comes from your phone and about your hand which is now habitual of checking your phone after that tic- tac. 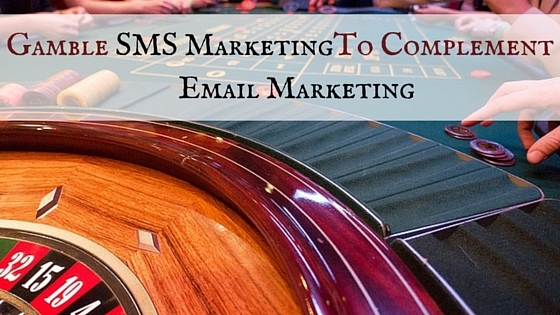 SMS Marketing Vs Email marketing, one of the most debated marketing techniques topics. In my opinion, nowadays though, it’s unfair for a brand to communicate with their customers just through one single channel, which converts the whole SMS vs Email irrelevant. 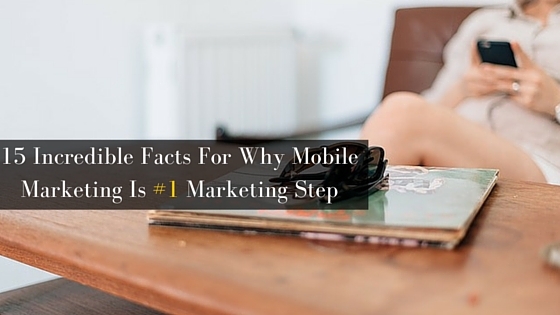 SMS Marketing or text messaging is an ideal way to communicate with your customers when you’re on the move because it’s rapid, direct, and a two-way media. 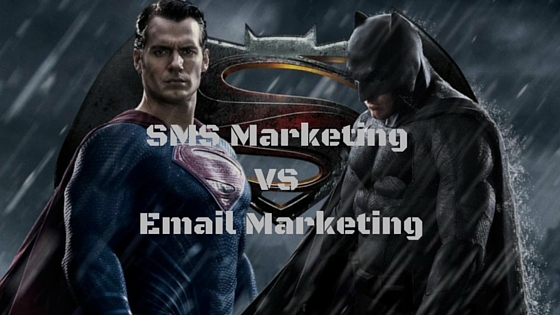 When used together, SMS and your surviving superhero email marketing campaigns can prove to be a prevailing combination.